is the advice offered for India’s national carrier by Masaru Onishi, Chairman of Japan Airlines (JAL). Mr. Onishi who spoke to Bangalore Aviation on January 31 on the sidelines of the oneworld entry ceremony of Malaysia Airlines. Mr. Onishi knows the subject of revival; he led JAL’s spectacular recovery from bankruptcy over the last three years. JAL practices and reputation, before its spectacular financial crash, eerily mirror those of Air India. An airline run more for prestige than for profit. Operating uneconomical routes, with ageing gas-guzzling jumbo jets, most of which flew half empty. Its staff, known less for service and more for arrogance and sloth. 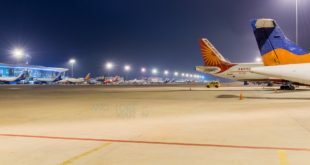 In the 2009 global slowdown, Japan Airlines (JAL), like Air India, suffered massive losses, ultimately declaring bankruptcy in January 2010, and having its shares de-listed from the Tokyo Stock Exchange in February 2010. Prompted by the Japanese Government, who wanted to ensure continued competition in the market, the Enterprise Turnaround Initiative Corp (ETIC), a special purpose vehicle, largely created with the JAL rescue in mind, and funded by the government and Japan’s big banks, injected massive ¥350 billion (approx $3.76 billion or Rs. 20277.7 Crore) for a 96.5% stake in Japan Airlines. Kazuo Inamori, founder of Kyocera and KDDI, was brought in as CEO, and Masaru Onishi, President of Japan Air Commuter became JAL’s President. Subsequently, Inamori became Chairman Emeritus and Onishi was promoted to Chairman. London Heathrow airport. Picture by Devesh Agarwal. In return for state and bank aid, JAL went on a ruthless cost-cutting spree. It slashed its bloated workforce from about 47,000 to 31,000, retired most of its thirsty jumbo jets, reducing fleet size from 275 aircraft to 215, and mercilessly cut non-profitable routes. It reduced its Cost per Available Seat Kilometre (CASK) to ¥11.4 (approx $0.12 or Rs. 6.59) from ¥13.8, before the bankruptcy. In comparison, chief competitor All Nippon Airways’ (ANA) CASK is about ¥12.9, as per a Reuters report. In addition to cost cutting, the airline went on a massive improvement spree, sprucing up aircraft and services, to target and attract passengers, especially the premium class ones. Consequently, JAL also reported a $2.5 billion operating profit in 2012, at a margin of 17% in Q1 of 2012, the second highest in the global airline industry. In September 2012, JAL came out with a ¥1 Trillion ($8.5 billion or Rs. 57,833 Crore) initial public offering, the second largest in the world behind the $16 billion IPO of social networking giant Facebook, giving the national coffers of Japan a return of almost 100% (¥650 billion) on its investment (¥350 billion) in just two years. At the same time, JAL had scrubbed clean, the over $25 billion in debts on its books. 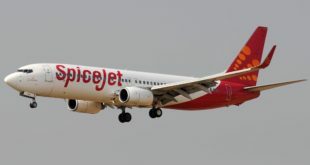 With his record of reviving JAL, we felt Mr. Onishi could offer unique insight to national carrier Air India, though we were no too confident, given the Japanese culture of polite soft-spokenness. With a surprising, one might say, jaw dropping, brutal frankness, Onishi-san went on to list a few points, which reminds one, why and how he led the revival of JAL. COMPLETELY CHANGE the way of thinking. Re-examine from the HEART what you CAN DO, PROFITABLY. Do not CONTINUE LOSS-MAKING ACTIVITIES, just because of history. CHANGE STARTS FROM THE TOP. Leadership must demonstrate change before asking for it, from employees. Like JAL, make repeated presentations to government. CONVINCE them not to interfere in daily operations. If possible become a pure PRIVATE COMPANY. Immediately start thinking like one. Each employee must empower the company to CONTRIBUTE TO THE NATION, instead of taking resources from it. Company must WANT to contribute to society and the nation as a GOOD CORPORATE CITIZEN. Profound and inspiring words; when examined carefully, should be used not just for India’s national carrier Air India, but any troubled company anywhere in the world. What are your thoughts? Share them via a comment. Previous Japan Airlines wants to start Tokyo Bangalore service, but not in the near future.